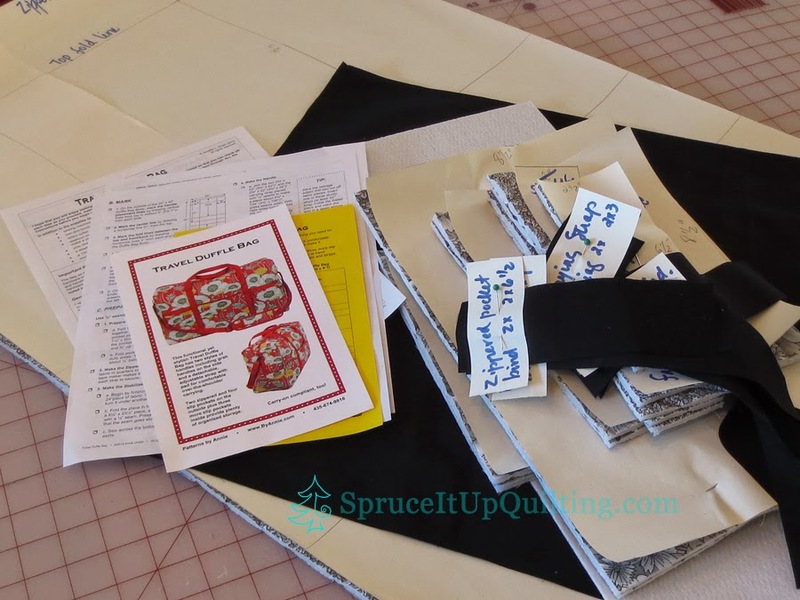 Spruce It Up Quilting: Patterns! So far, De Deauville to Cape Cod quilt has been the favorite project! I so dearly love working on this quilt probably because it makes me think of the beach days that we all long for. For these blocks, I decided to use the sky fabric I painted in Mickey Lawler's class at Road to California Quilt show. What great fun that was; I had never painted on fabric before, at least not intentionally like this. She's a wonderful teacher and I believe we all had a great day playing with paint and fabric. So it's fitting to put some of it to use in this quilt THIS year! Just after Christmas, I made a camera bag for our daughter Isabel and it didn't take long to get requests for more bags. Our oldest daughter Madelaine wanted a weekender bag so it's been a project of mine to hunt for the supplies. Don't you love the hunt?? After close examination of the pattern I had originally chosen, it was clear that some changes would have to be made to make it sturdier. I decided to use another pattern but the amount of fabric I purchased was not enough. What to do? 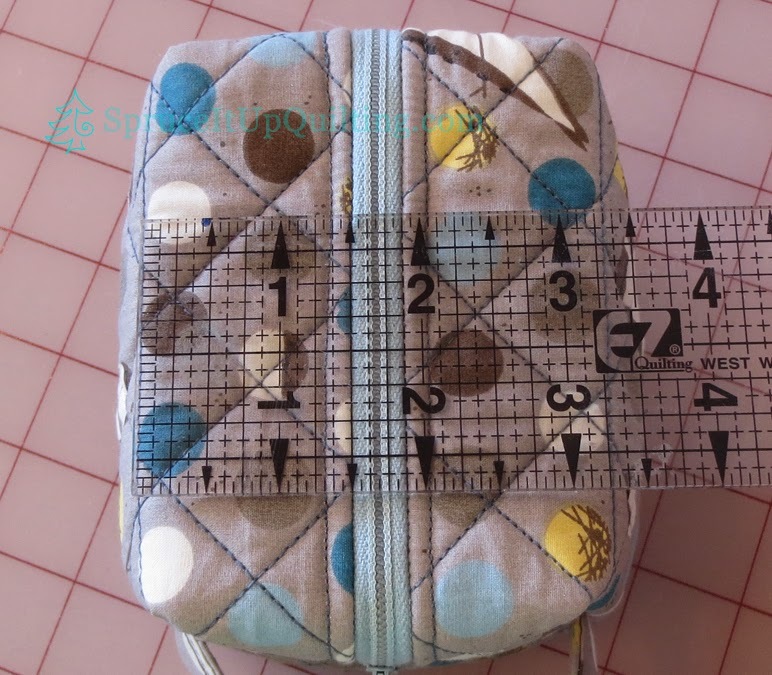 I decided to sew a sample of the bag in fabric I had on the shelf to see how I can make Madelaine's with her fabrics. First step was to quilt the outer fabric and lining... after Lolah got a good warm up, she was ready to go and she sewed like a dream! 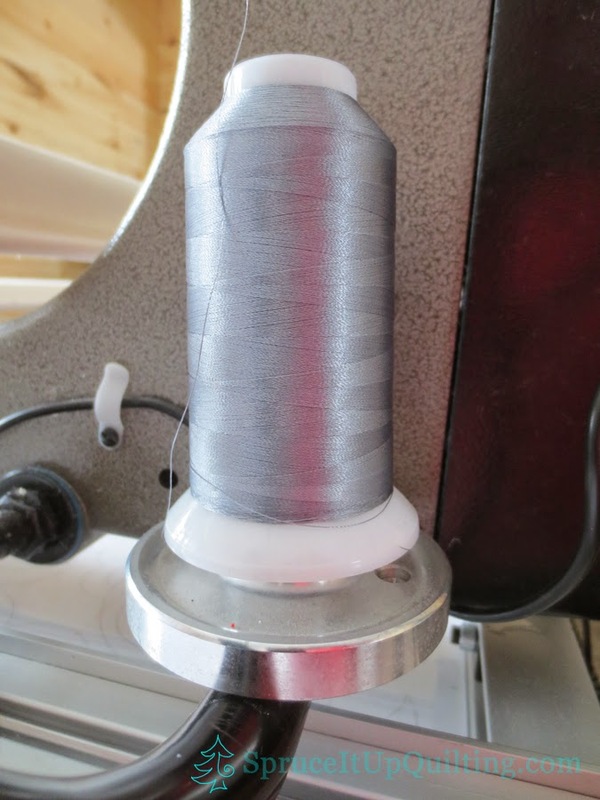 Not a skipped stitch, not a knot, nor a broken thread!! What a treat!! This pantograph is called Flowers For Haley. I used Magnifico in grey... LOVE IT! First time trying it out on Lolah and it quilted beautifully! Love the sheen too. Then it was time to draft the pattern pieces... THERE ARE A LOT OF PIECES TO THIS PATTERN!!! and 3 small errors or discrepancies. I will be contacting the designer to inform her of this so she can make the changes. It does have to do with the measurements listed being different from those on the diagram. I cut before crosschecking the listed measurements... luckily I had plenty of fabric. You'll have to wait to see the results of this bag. Remember it's only the sample bag! Yesterday, though I chose to play with a smaller, quicker to assemble bag. 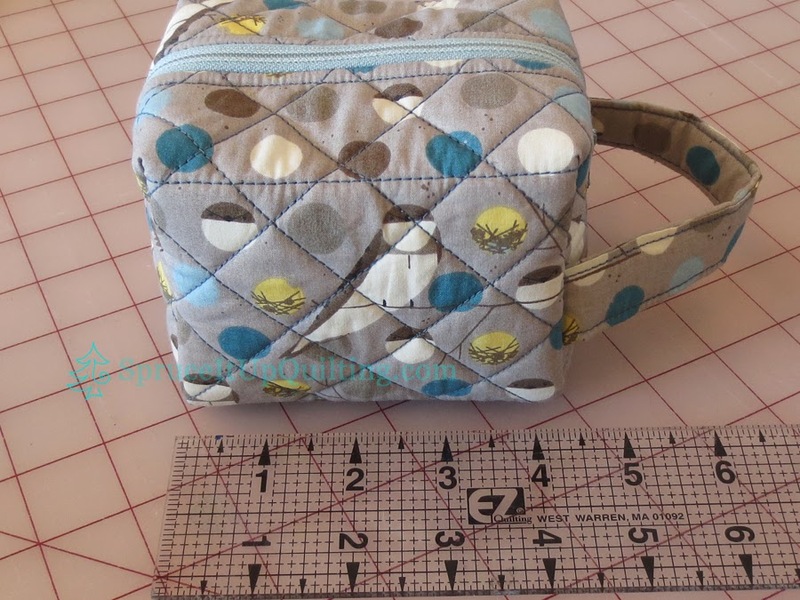 One request came from one of my sisters; she wanted a small camera bag too. I asked her to measure her camera (Kodak Easyshare) and to choose her colors. Her request was for grey, blue, and yellow! 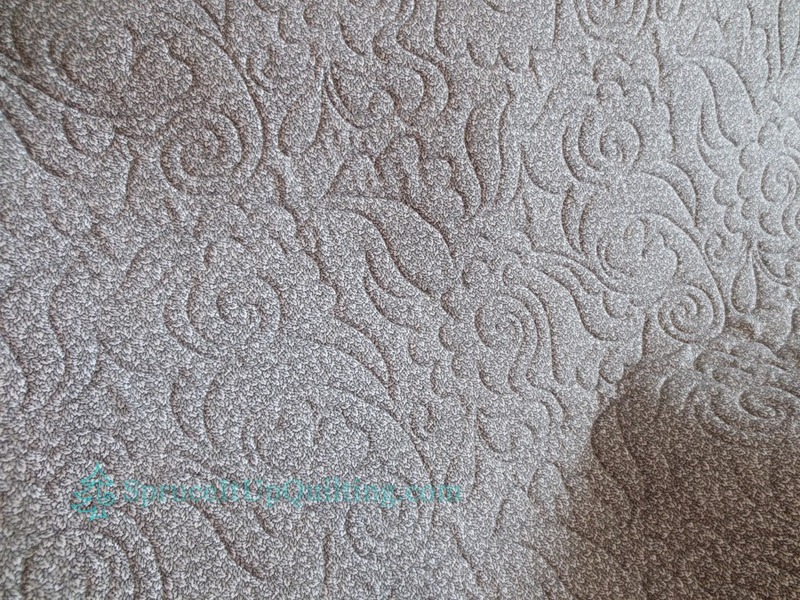 This is what I found... you can see the chalk lines for quilting. This is a fat quarter piece of fabric. And I couldn't resist the mice for lining! The brown in the above fabric was very difficult to match!! :) Don't you love the 3 Blind Mice? Love the mouse on the bicycle too. 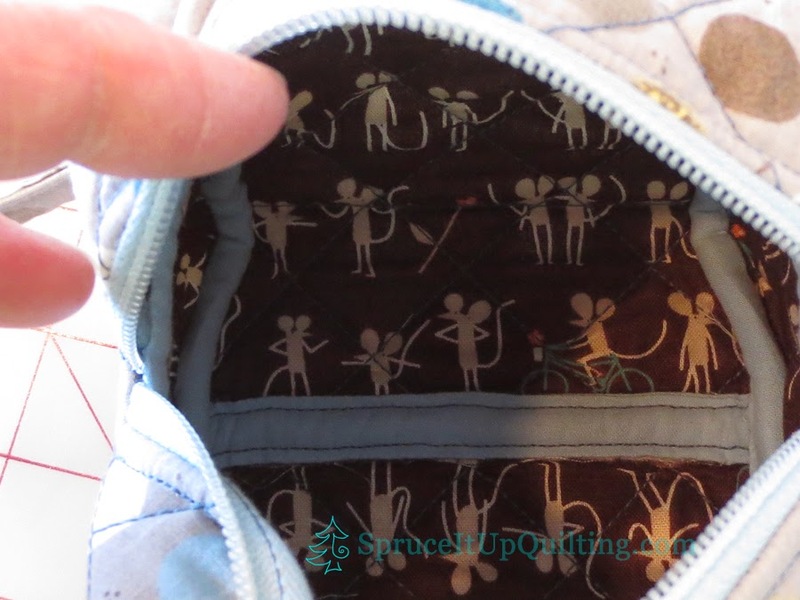 All the inside seams are bound. And she LOVES it! I have yet to add my logo on the strap. Patterns... you see them everywhere! 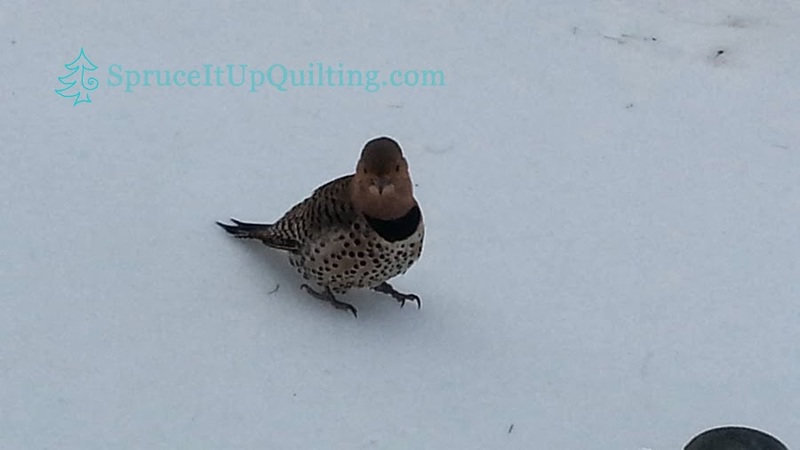 Paper patterns like the ones above, patterns in the snow, on the water, in the sky, in fabric, on this bird... a visitor to our yard this weekend. 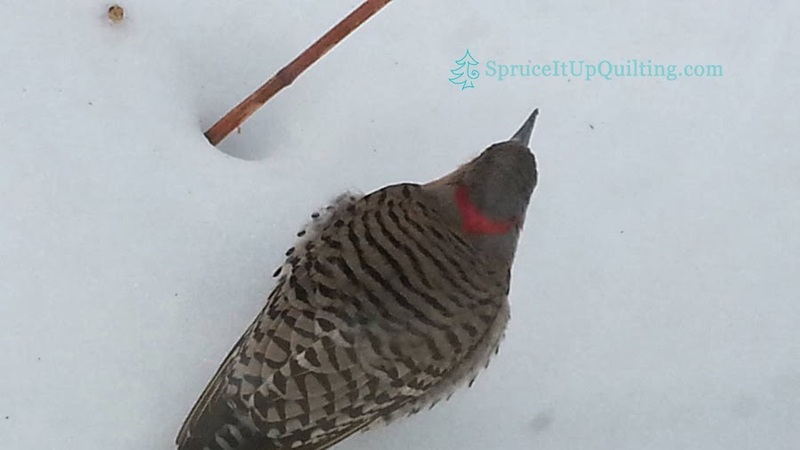 He's called a Northern Flicker; he's in the only family of woodpeckers that forages on the ground for food. This one is around our house daily... quite cute! Love his coloring! and the pattern on his back and wings. What a great job you did on this beautiful little bag! 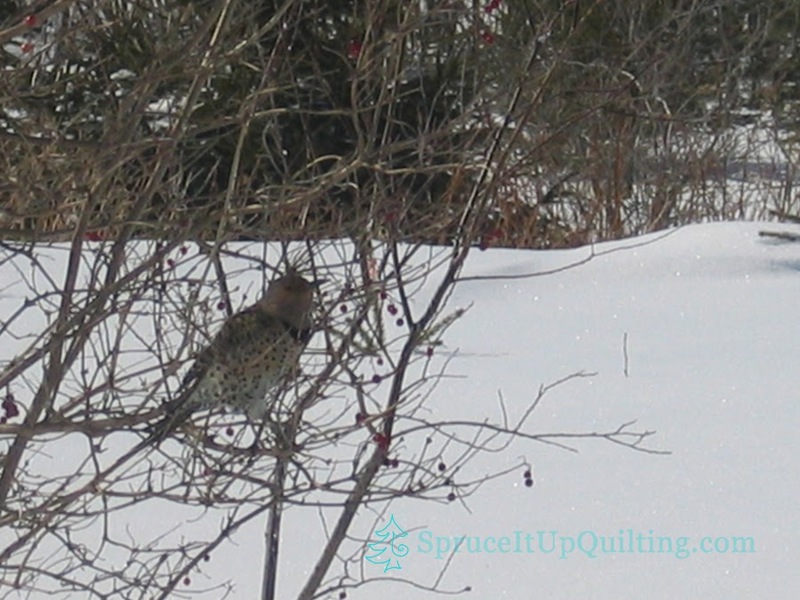 I have never seen this type of woodpecker before, so thanks for introducing me to the Northern Flicker. Lynn, this bird is so gorgeous... the pictures don't do it justice! And it's big! Beautiful yellowish under belly and tail! 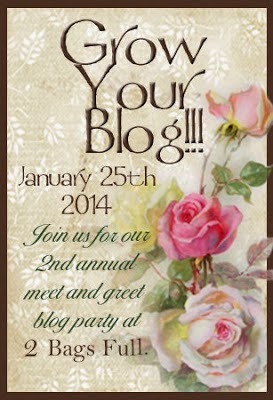 Thank you for coming by my blog!! Glad to hear that I am not the only one who cannot find the supplies when I need them but will invariably come across them much later when I don't! I love your quilt blocks and your camera bag is so neat! Thank you for your kind comments. It takes me quite a while to figure out where the best place is to put certain supplies to make them easily accessible after a move. It's very frustrating to not be able to find what I need when I want it; consequently, I get distracted and off track! I figure it will take me a lot longer to work out an organized space since my sewing room is upstairs and Lolah is on the main level where I tend to work at my table. It's good exercise! 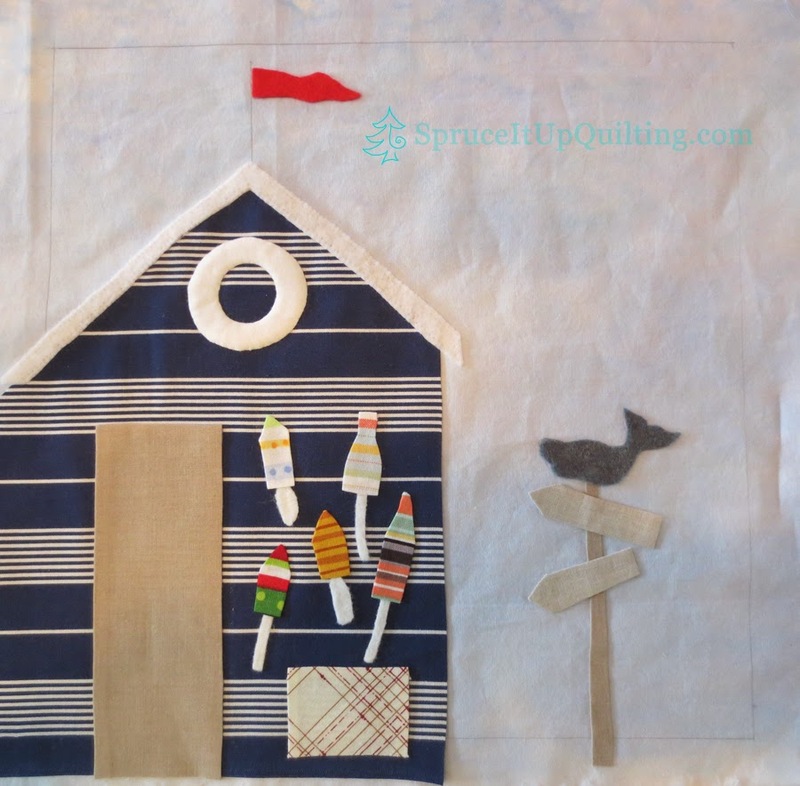 Those De Deauville to Cape Cod quilt blocks are sew fun! I can see why you enjoy working on those. And your finished camera bag is just too cute! Love that Charley Harper. My finish for Friday has some of that print in it too! Glad to see you tried the Magnifico and loved it! 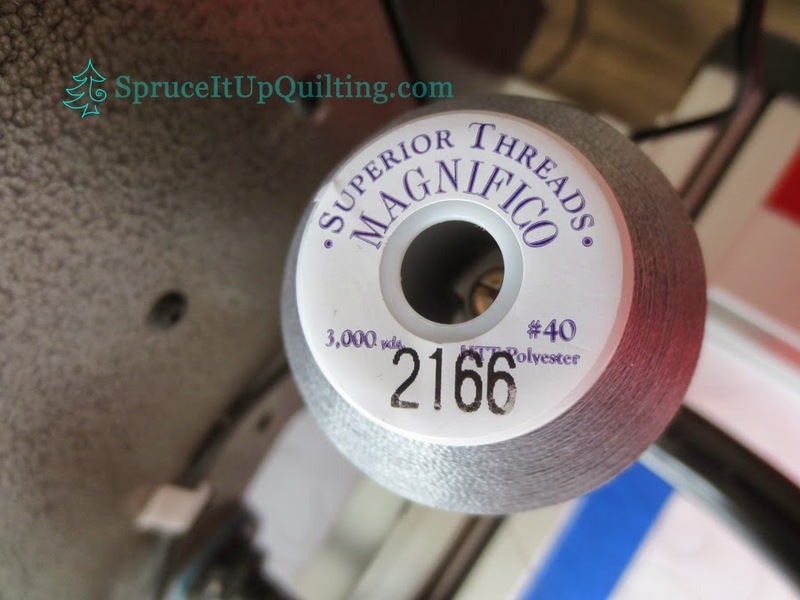 You are so right about the sheen of those threads - they are incredible! Thanks for sharing, Lorette! Thank you so much Lorna! 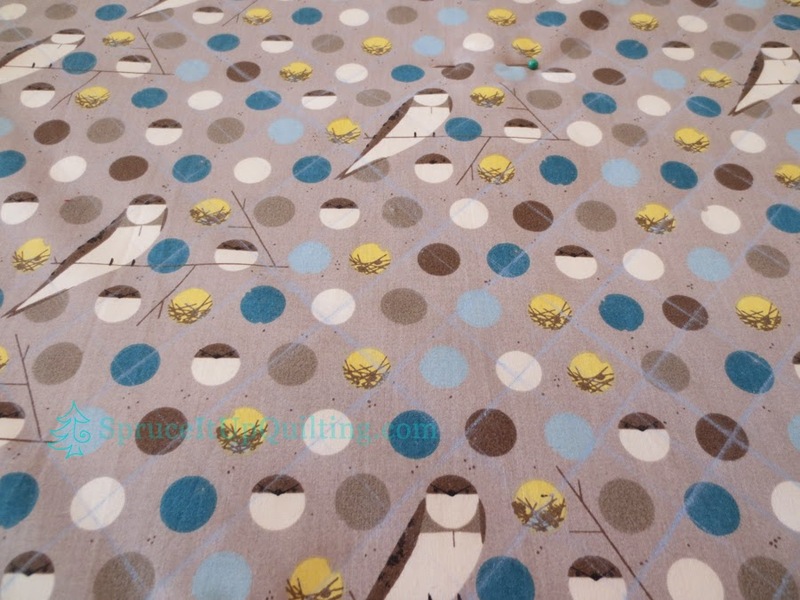 I saw your Charley Harper fabric; isn't it great?? Thanks for stopping by! Love the 3 blind mice - very cute for a camera bag. Those beach blocks are gorgeous! Thank you so much for the kind comments Ruth and thanks for stopping by! That bag is adorable! 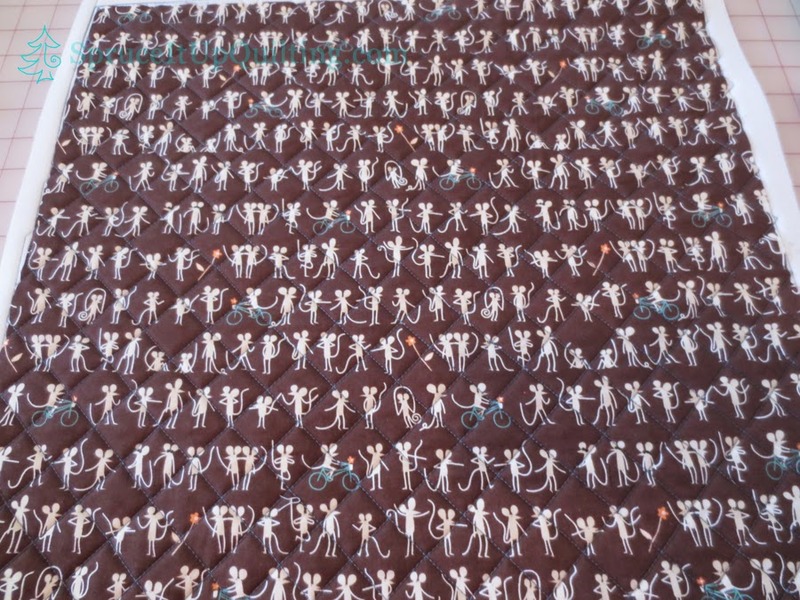 Your De Deauville to Cape Cod quilt is looking great! Thank you M-R. Those blocks really look good. I'm quite anxious for next month's block... only 4 more blocks and we'll be done! I'm looking to make more little bags but might change some aspects of the piecing! Thank you for stopping by! Thank you Julie! I'll be pleased when I've ironed out the bugs in this pattern!! I love, love the little bag. 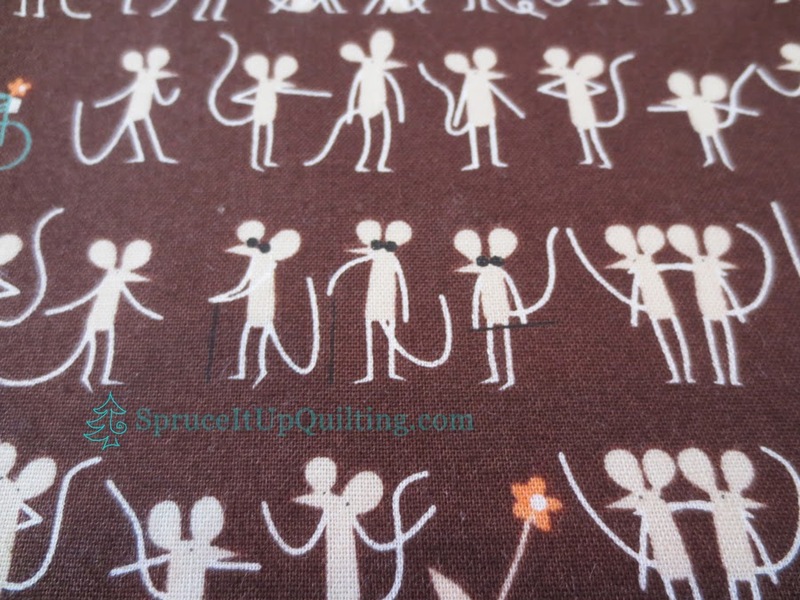 The fabric is lovely and the little mice are too cute! 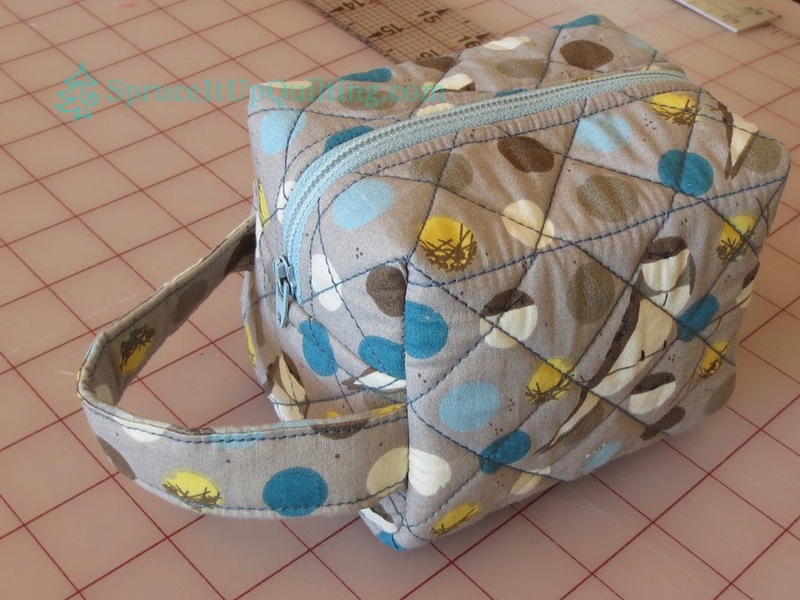 I love the seaside theme, and the clever design and fabrics for the camera bag. Hi Jacqui! Thank you for your kind comments. I will be making another camera bag soon. Keep watching! 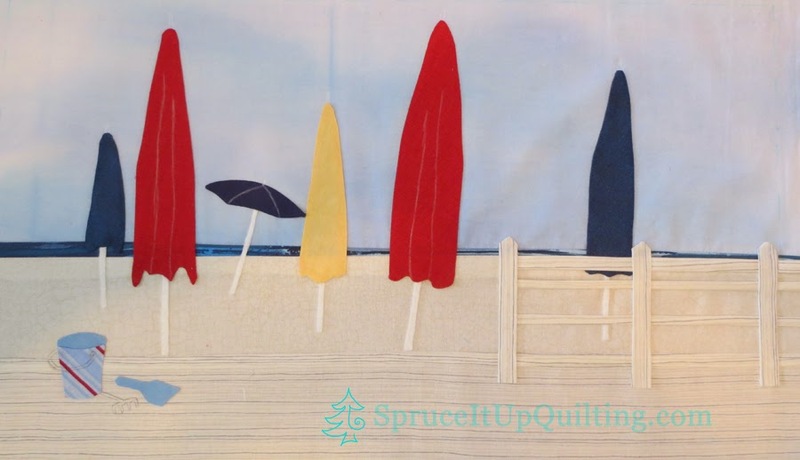 The beach quilt is super, so nice to use your own fabric in it. Is it a wall hanging or throw? 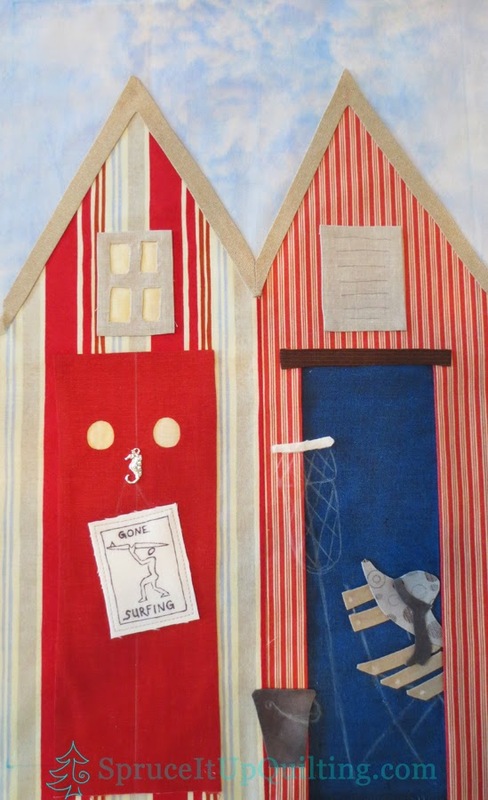 Hi Lisa, the beach themed quilt is a wall hanging. 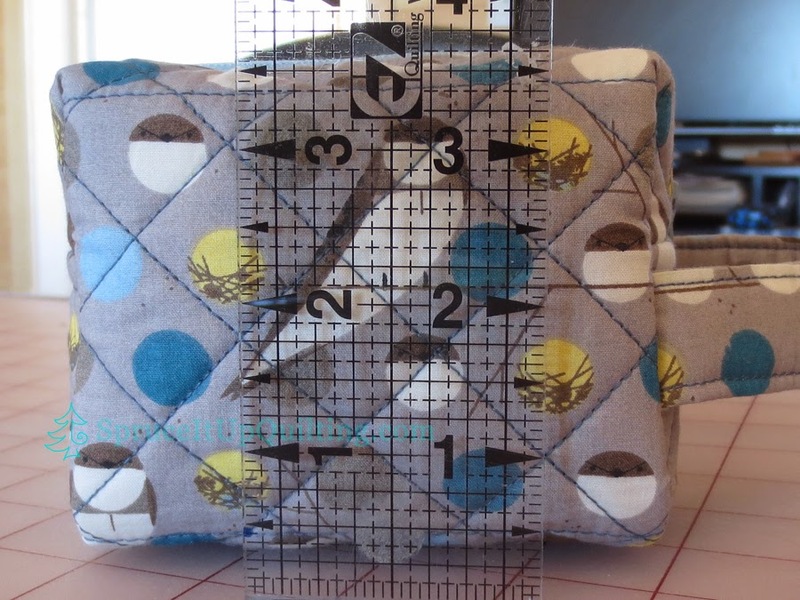 I am happy to use the sky fabric since it was pretty close to the other fabric I'm using. Thank you for visiting! 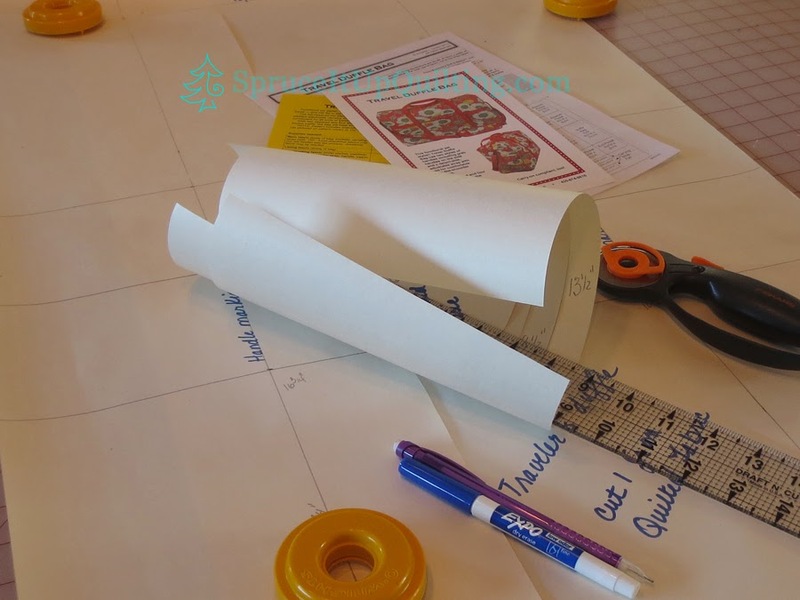 Great idea to start a summer quilt, if your weather is any like ours (raging snow storm on the first day of spring with 4 feet of snow on the ground) you'll have plenty of time to finish it before it gets warm. Your camera bags are to die for, fantastic fabric choices. I heard the weather north of here is worse. We did get some snow but nothing to stick on the ground and then it rained. Our yard is mudville!! The beach quilt is what I need to make this season enjoyable! Thank you for your kind comments and thanks for visiting! Hi Sarah. 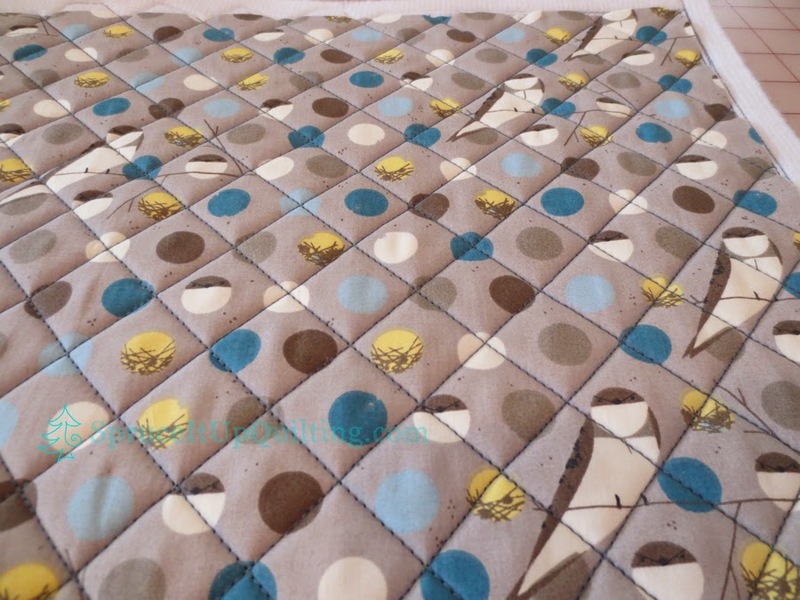 Yes you can purchase the patterns from Roxane at Scrap Quilt and Stitch. There's a link at the top of this blog post to her site! Thank you for your comments and thank you for visiting my blog. I love the beach umbrellas. I could frame that block, as is, and enjoy it for years to come. The bag is amazing and I adore the mouse fabric. Great choices in colour and fabrics for both projects. Thank you Jo! The beach umbrella block is one of my favorites in this little quilt. It's the one I'm working on today... finishing up the applique, then I'll be embroidering all three blocks! Love it when the embroidery adds that special touch to blocks that really finishes the design. Stay tuned for more bag pictures soon.